Monte Cara formerly known as Mount Nelson, Mount Washington or Washington face is an essential icon of the Cape Verde islands especially Sao Vicente. It is an elevation on the island of São Vicente, 490 meters to the west of the bay of Porto Grande and opposite of the city of Mindelo. It is one of the seven wonders of Cape Verde. Monte Cara is translated to english as Mount face; it gets its name because its astonishing cut to resemble a human face looking at the sky, is the "ex libris " of the city of Mindelo. It is during the setting of the sun, sometimes reddish; sometimes more orange with light cloud is when this mountain presents itself at its highest form. For these reasons and many others not listed above is why we gave our place this name. We would love to create a space where we capture the real cape verdean culture for all to experience. 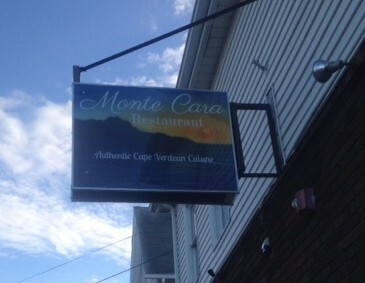 Let's make Monte Cara what it truly is, with of all its streams, hills and cleavers of Cape Verde; a special Cape Verdean landmark.